Bidding war. There are no two sweeter words for a home seller, and today’s seller’s market may conjure up images of hitting the jackpot on your home by pitting buyers against each other to “win” your home with the highest bid. We’ve seen it in Toronto and Vancouver, where homes routinely sell for hundreds of thousands of dollars over asking price. Meanwhile, buyers may dread the idea of a bidding war, worrying they will either get caught up in the competition and pay too much, or risk losing a house they love. Before you start counting your cash – or bracing for battle – it’s important to understand the difference between a bidding war and a multiple offer situation, and set your expectations accordingly. “It is important to consider the difference between a seller’s market in Collingwood/Blue Mountains and a seller’s market in the GTA,” explains Chris Keleher, broker at Royal LePage Locations North, which has offices in Collingwood, Thornbury and Meaford. There are many factors that come into play when getting into a multiple offer situation. Here are 10 things for both buyers and sellers to consider during the multiple offer process. 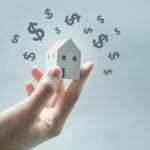 Many people focus on the offer amount as the paramount decision-making factor. “Although it is true that money talks, there are other important aspects to consider,” notes Keleher. These include the deposit amount, especially as it relates to financing conditions. If you are going to include a financing condition, a large deposit can hold value, and can also give a seller comfort that you are likely to be approved for financing if you have a large amount of cash on hand to be held in trust until closing. The closing date and the date of the expiry of conditions can play a big part as well. The other date to consider is the length of time for your conditional period. If conditions are even accepted in a multiple offer situation, they need to be minimal and removed sooner rather than later. The strength of your offer is not based on price alone. 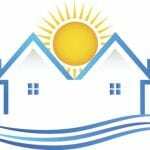 Although it is not uncommon in this region for conditions to be accepted in a multiple offer situation, you need to seriously consider the value of having those conditions, versus making your offer firm and binding upon acceptance by the seller. 4. Irrevocable: Long, Short or as Requested? The irrevocable period given with an offer (the time a seller has to accept the offer as delivered) can also play an enormous part in the way a multiple offer situation is handled. Before making a decision regarding your irrevocable, discuss the options in detail with your realtor. When you’re in a multiple offer situation as a buyer, you might want to consider leaving out that extra fridge, the nice sectional, the snow blower, or whatever else you were hoping would be thrown into the deal. Now, for sellers, here’s what to do, what to know and how to go about a multiple offer situation in a realistic, honest and above-board way. This is one tactic that is sometimes applied when two offers are received, usually delivered with the implication that the offers are “too close to choose.” It could make all parties sharpen their pencils and make their offers a bit better in terms of the points above. Or it could discourage a buyer and they could pull out. If the irrevocable period on the offers allows enough time, a seller can begin a dialogue with one party and discuss how much better they are willing to make their offer, while still being within the time frame to accept any of the offers on the table. “Going back to each buyer individually to see if any are willing to improve their offer is a strategy that can greatly benefit a seller, but should be done with full disclosure,” says Keleher, adding that communication during this process with all parties is important to keep things cordial and positive. 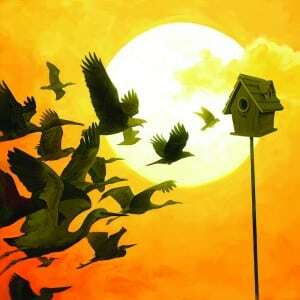 You may hear a listing agent say they aren’t looking at offers until a certain day and time. This gives the listing some time to gather steam and get some hype, in order to produce more interest and more offers. During the period where the listing agent is holding off offers, you will sometimes see a ‘bully offer’ – the buyer ignores the rules given by the listing agent and delivers an offer in advance of the hold-off date in order to get the property without having to compete. In some cases, a brokerage may adjust its listing agreement at the time of an offer in order to slightly reduce fees to a seller and sweeten the deal. “In the case of multiple offers, if there are any adjustments being made that will affect the bottom line of the offer, these must be fully disclosed,” notes Keleher. As a buyer, the fear is that a slimy sales agent will claim, “We have another offer coming in as well,” in order to drive up your offer price (sometimes referred to as a “phantom offer”). The good news here is that amendments to the Real Estate Brokers Act (Bill 55), which came into effect in July 2015, have made sure such posturing to try to raise the offer amount is no longer possible. This is something every buyer and seller should know about before entering a multiple offer situation. In short, it protects everyone and assures absolute full disclosure in all multiple offer situations. Ask your realtor for full details. 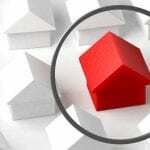 It is important to consider a host of factors when entering a multiple offer situation. No two situations are the same, and people are, after all, unpredictable. However, you can ensure that you make the most of a multiple offer situation, either as a buyer or as a seller, without sacrificing your integrity or getting taken to the cleaners. “Lateral thinking, intelligence, knowledge and experience will all benefit you in the process of staying a step ahead in a multiple offer situation,” says Keleher. “There is no set way. You must adjust your strategy to each situation. On The Bay is an upscale regional lifestyle magazine celebrating life in Southern Georgian Bay. Published four times per year, On The Bay covers environmental issues, real estate & development, homes & gardens, food & drink, and profiles local people who are making a difference in our community. 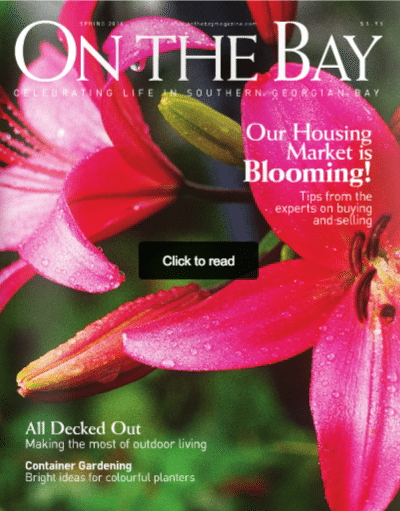 Visit On The Bay to read every issue.